A caricature project for a gentleman who celebrated his retirement. I also had the opportunity to design a “pop-up” retirement party invitation. Check out the car, he used to drive one of those mini energy-efficient “Smart” cars. 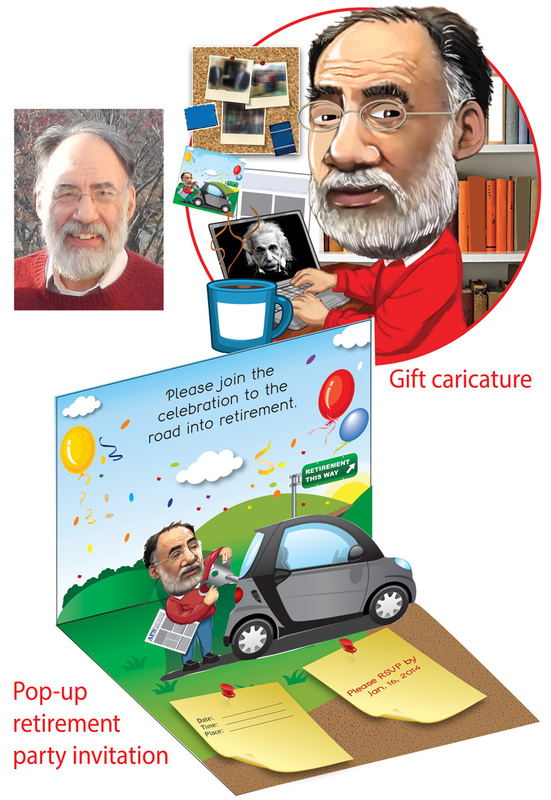 A caricature project with a “pop-up” invitation for a gentleman who recently retired. “The Best Man Holiday” for the second time. We usually don’t see movies twice. However, it was refreshing to watch an entertaining movie where African-Americans were not gangsters, pimps or slaves. These contemporary characters were prospering in elegant surroundings and dealing with issues affecting all of us (regardless of race). 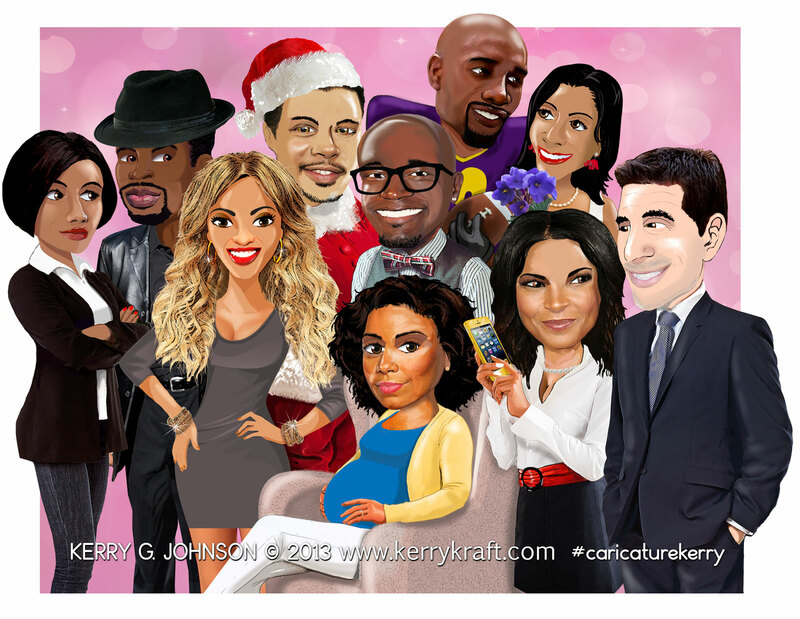 Here’s my caricature salute to director Malcolm D. Lee and the actors involved with the movie. Kids Are Heroes® is a non-profit that empowers, encourages and inspires children to become leaders through volunteerism and community involvement. We do this by showcasing and supporting children who are making a difference through their selfless acts of giving. Here’s a special Scandal edition of my webcomic “Harambee Hills”. Scandal is a popular American ABC TV political thriller television series starring actress Kerry Washington. 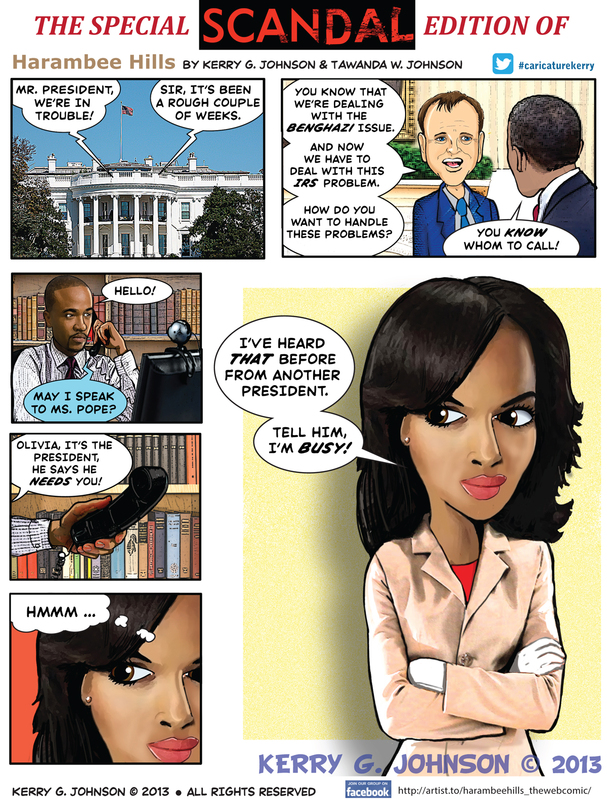 This installment of the cartoon, includes a caricature of the main star, Kerry Washington. President reaches out to Olivia Pope. I met some funny and energetic kids while signing books and illustrating caricatures at the Annual African-American Read-In program at Laurel Woods Elementary School in Laurel, MD. My son, Miles, takes notes as I illustrate a caricature of the young girl with beads in her hair during my visit to Lauren Woods Elementary School. Kerry offers some advice to an inspiring children’s book author and illustrator. 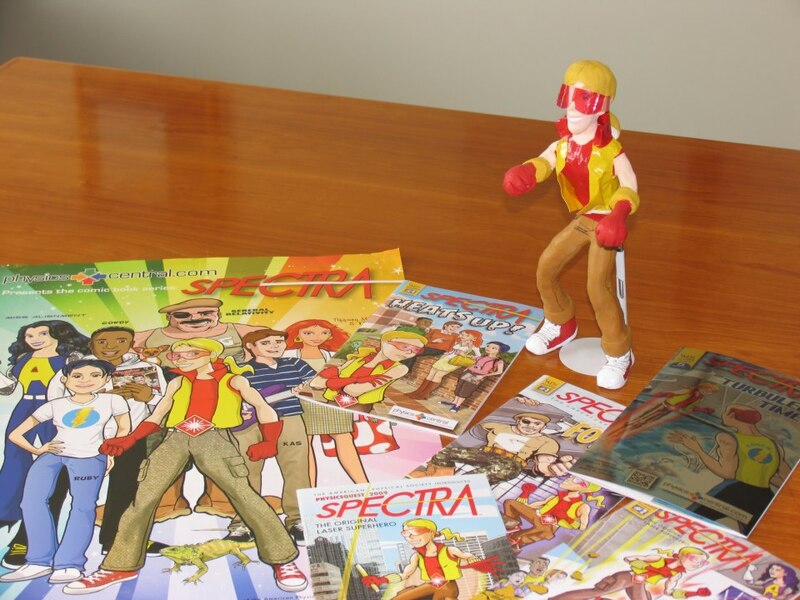 Spectra the comic book series that I illustrate for PhysicsCentral.com. In March, the author and I completed Issue #5. – Spectra: Turbulent Times. We tried something new with the cover paper, check out the “metallic-silver” coated paper stock. Spectra the comic book series that I illustrate for PhysicsCentral.com. In March, the author and I completed Issue #5. – Turbulent Times. We tried something new with the cover paper, check out the “metallic-silver” coated paper stock. Here was a fun project. 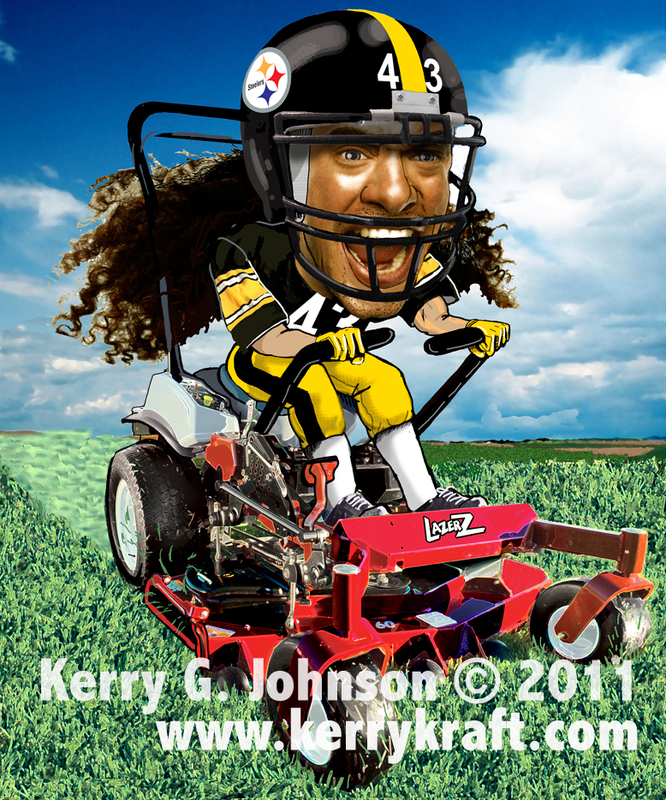 A tractor retailer wanted a caricature of Pittsburgh Steeler Troy Polamulu riding atop a tractor for his Super Bowl party. It was an inside joke for his family and friends. It was an interesting assignment and since I am a Steelers fan, I enjoyed the challenge. This was a fun project to illustrate. 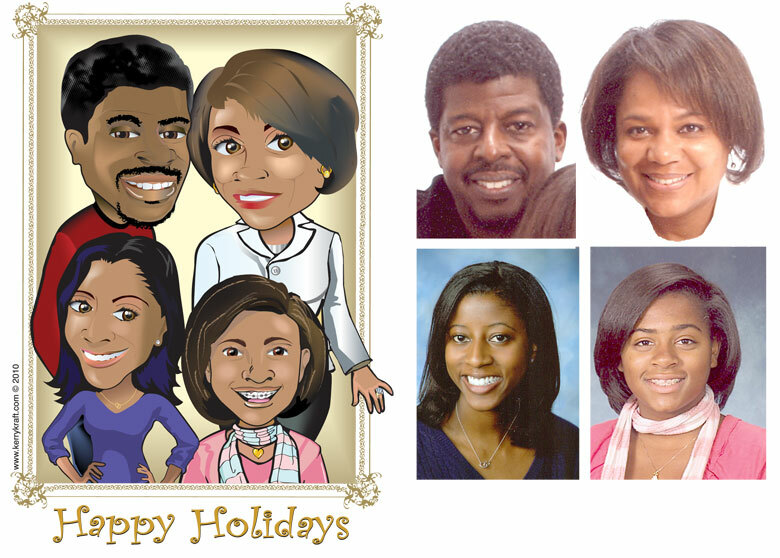 The mom contacted me about an special idea for her 2010 family’s Christmas card. 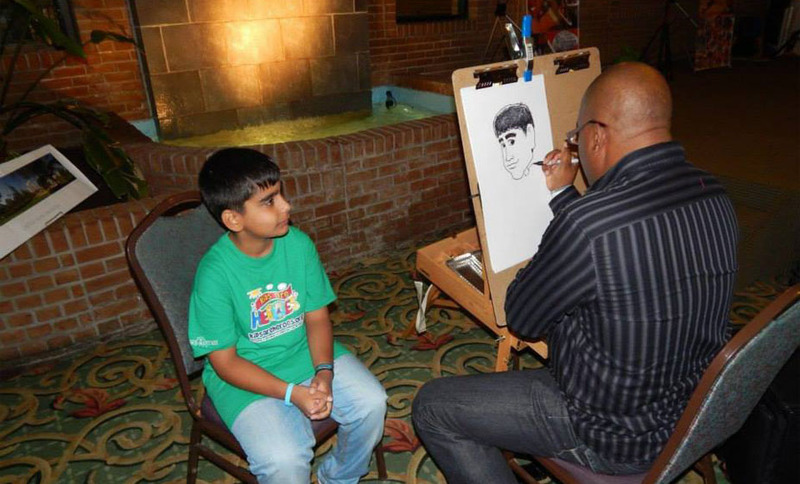 I actually drew caricatures at her daugther’s birthday party a few years ago. So I was pleased that she was a returning customer. It was a quick turnaround. It reminded me of my theme-park days. I’m happy that I met the deadline.